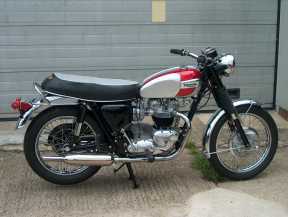 Welcome to the home page of the RJM Classic Motorcycles website. 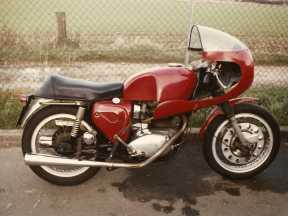 This arguably better than new restoration of a late T140 which was in a very tired condition when it first arrived was completed in late 2016. Completed under our Pay-As-You-Go scheme, it perfectly illustrates the extremes of flexibility of the scheme. 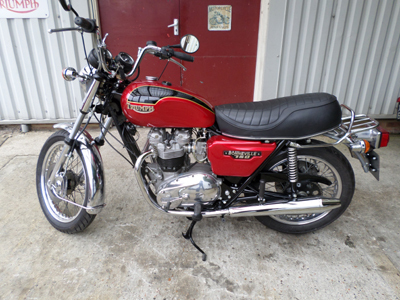 For discerning owners looking for a state of the art restoration with modest monthly funding available a project of this kind can be completed as this one was, over a ten year period. Click on the graphic for an enlarged view. One more back on the road. 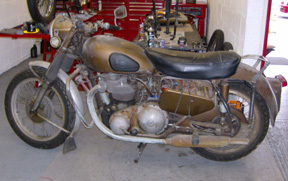 Full restoration is not necessarily always the answer. 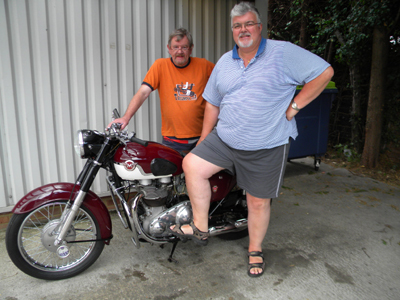 Pictured here with proud owner Steve in front and me behind is his beautiful 1961 Matchless G12. We were privileged to be tasked with partial and sympathetic restoration under our Pay-As-You-Go scheme over the course of about a year. 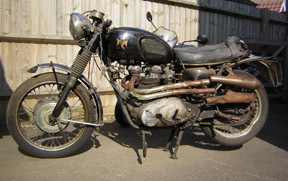 Selective restoration of this kind can represent a considerable saving and has the additional advantage of retaining original features as well as some patina. It can return a much-loved machine whose looks and performance are beginning to fade to one in the rudest of health and appearance. I am grateful to Steve for his patience, enthusiasm and kind words. 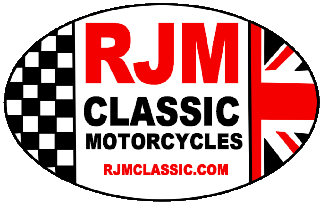 What RJM Classic Motorcycles does. There once was an ugly duckling, well an ugly Bombay duck actually. 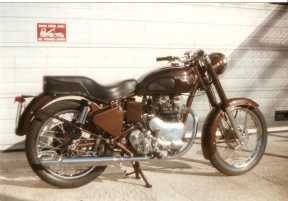 Pictured here and published within weeks of completion in April 2012 a previously wrecked and left for dead 1997 Indian-built standard 500, with the help of, and for the use of son Rowan, now working full time at Ram Yard, just as soon as he passes his test. 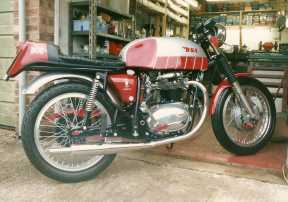 Our take on the Bullet Cafe Racer. 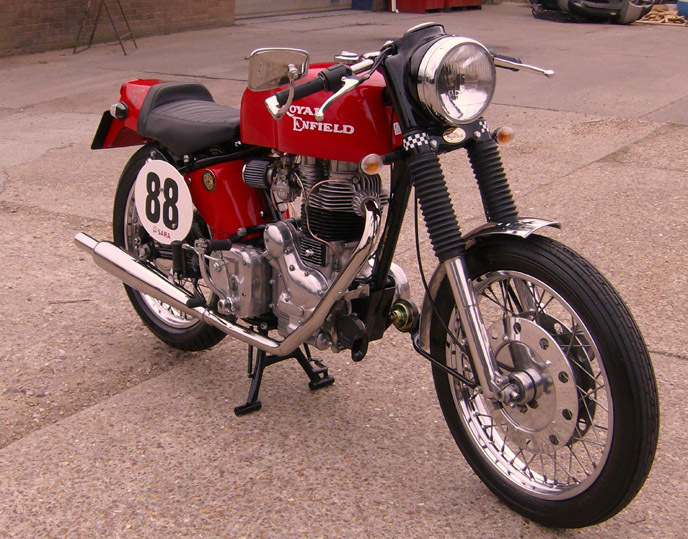 With more than a bit of inspiration and vital parts from national Royal Enfield specialist Hitchcock's Motorcycles. 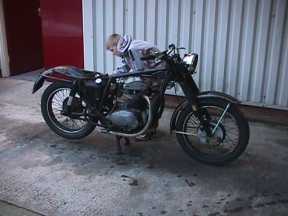 Rowan and I are amused to claim it as the best motorcycle Royal Enfield never built. And the final road test before handover. And a slideshow of restoration scenes. 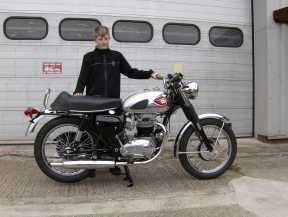 Our current BSA A65 twin. 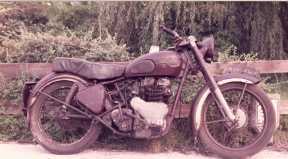 A post-war Royal Enfield twin. 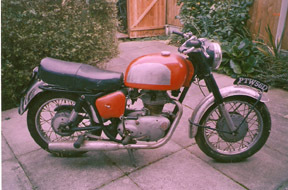 My original BSA A65 twin. Podcast: Our latest project is now available to listen to. 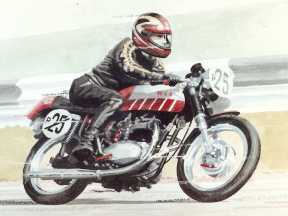 Click the button above, and join us as we discuss all matters relating to the world of classic motorcycling. 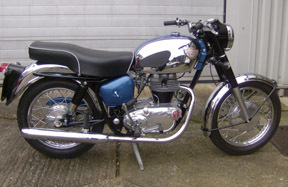 Follow this link to the safety bulletin: Urgent safety briefing for all owners of classic motorcycles with fibreglass fuel tanks or steel tanks containing sealant. Click on the item to go there. The priority for 2007/08 has been to finally find the time and expertise to bring our web site into the current century and I am indebted to my good friend Will Curry as my archivist and now webmaster for his efforts. The new site should come come as a pleasant surprise to past visitors who would have found what the police might have described as an apparently abandoned vehicle, over the last ten years or so. My favourite feature with this new site is that all photographs in future will be click to enlarge, not just the gallery, so you can get a good look at and download anything of interest. 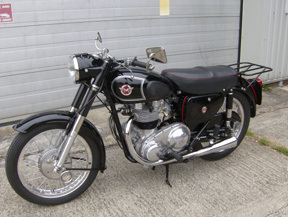 I am pleased now to report on the results of our 2006/07 priority, which was to finally find the time and finance to put a big twin back on the road for my personal use and, more importantly get some serious use out of it. Whilst the primary objective was fun, the more serious side was to re-acquaint myself with the process of living with a newly restored machine for the first few thousand miles, first hand, in order to be able to better serve and advise clients with their machines. 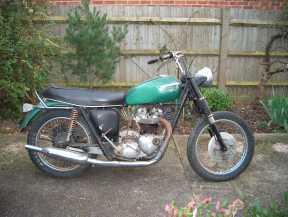 Please go to the Life with an A65 page for all the details and photographs so far. 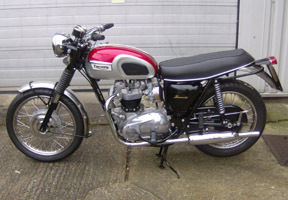 Apart from this page, the website contains a brief History of RJM Classic Motorcycles, a Gallery of RJM restorations past, a page describing the RJM Pay-As-You-Go Restoration process, an account of Life with an A65, a Buyer's Guide section to help you in choosing a project should you need it, a description of the Service dept. and finally the Contact and Links pages. All of these links also appear at the top of each page under the banner.